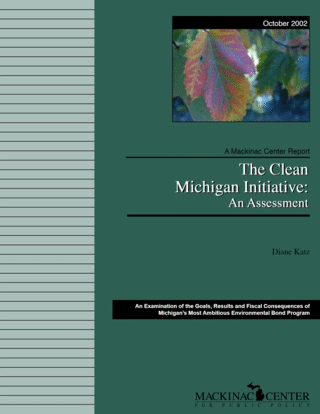 Whether the Clean Michigan Initiative or any environmental bond program is judged successful depends on the assessment criteria. Not surprisingly, there is considerable disagreement in the political arena about what criteria are appropriate. Some argue, for example, that environmental protection is too important to be subjected to cost considerations or a ranking of relative risk. But both cost and risk are crucial factors for evaluating environmental policy. Both help to ensure that limited resources are devoted to the most serious threats and thus yield the greatest possible benefits to public health and the environment. What are the fiscal consequences of selling bonds to finance the initiative? Is the distribution of funds based on environmental priorities? Have the funds allocated to date achieved CMI goals?